Odayasu always solve my breakfast problem. 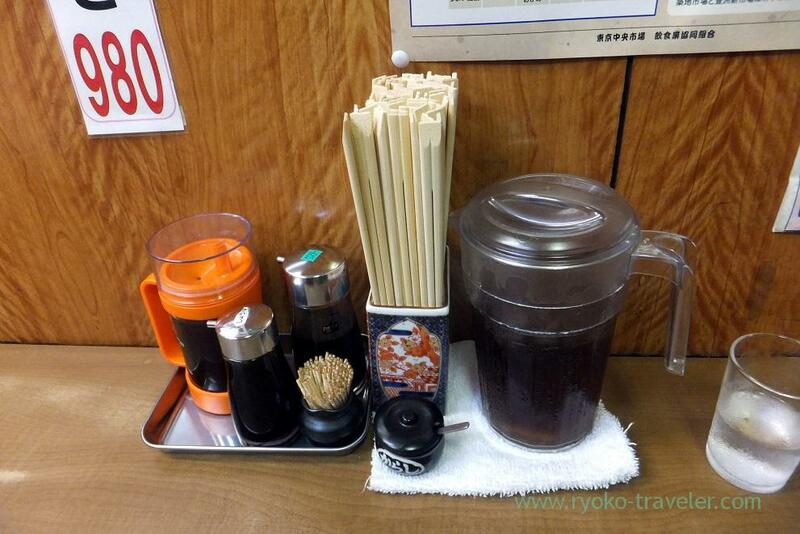 Though I wanted to eat something at Tsukiji and went out for breakfast earlier in the morning, I had no idea. Also I didn’t have something that I want to eat that day. So, I walked around Tsukiji market. Tenfusa, Kato, Yachiyo… but they didn’t attract me. And then I entered into Odayasu. The waiter serve water, but somehow wheat tea is in the pitcher. 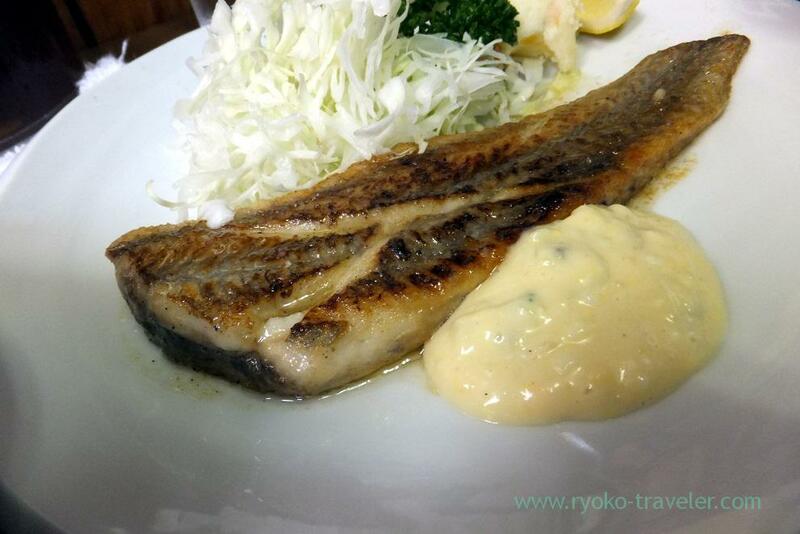 Then I ordered fried Shitabirame (a kind of sole) with butter (舌平目のバターソテー, 900 yen) that I hadn’t eaten yet. 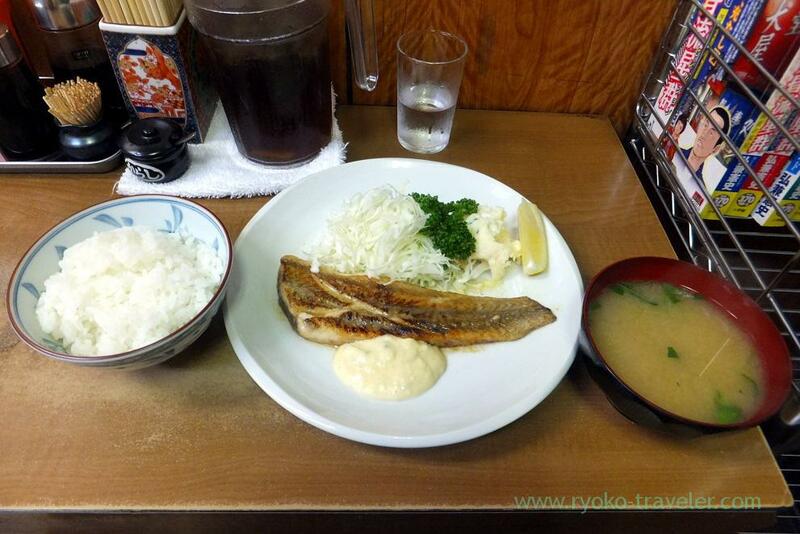 And of course, with rice and miso soup (+350 yen). I know this used to be on the regular menu, but now it is on whiteboard menu (“Today’s food”). By the way, the day of moving to Toyosu is officially decided. November 7th. 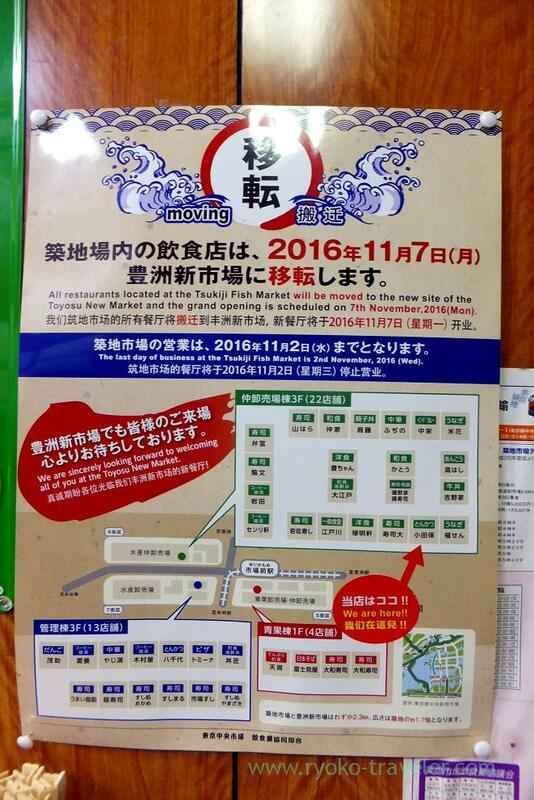 And the last day of Tsukiji market is November 2nd. Position of every eateries is also decided. Eateries and shops are divided into three buildings. Umm. It’s troublesome. 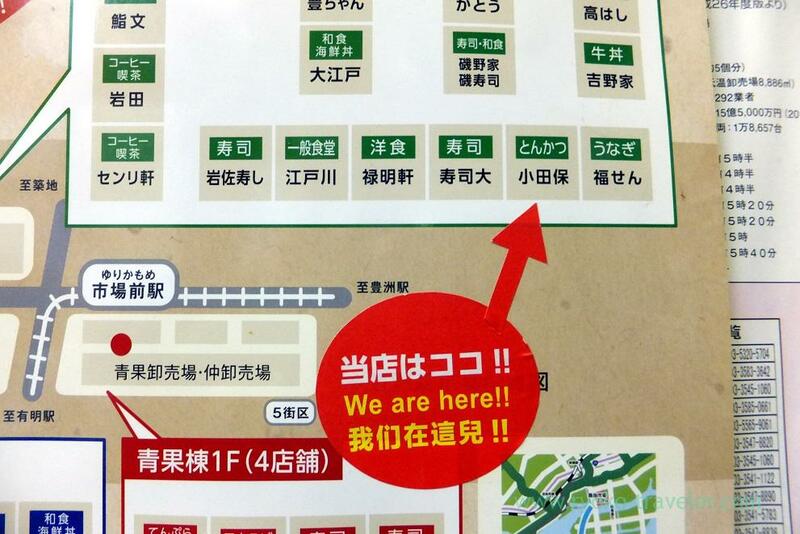 Anyway, seeing the map, the new station at Toyosu has been named “市場前/Shijo-mae”. 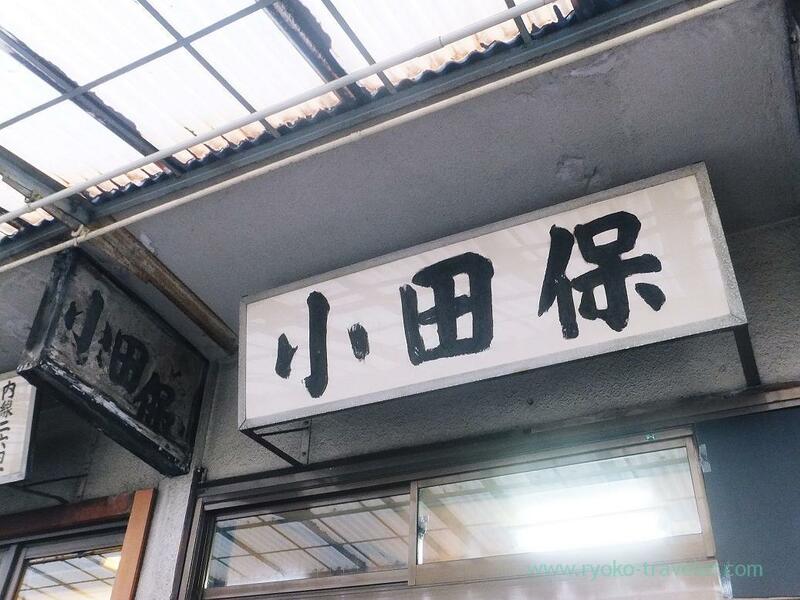 Basically say “市場前/Shijo-mae” means “the front/前” of “market/市場”. But… many people’s been kept waiting too long time for the new market. Then, I guess “前/mae” is not “front” but “before”. Therefore “市場前” means “Waiting for the market”, isn’t it? And more, now there’s a possibility Toyosu market isn’t open forever… ?